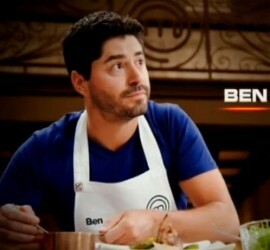 The Masterchef Australia 2014 contestant Ben Macdonald is a 36 year old IT Systems Consultant from Queensland. His dream is to open a restaurant by the sea and use amazing Australian produce to cook modern European / Australian dishes. 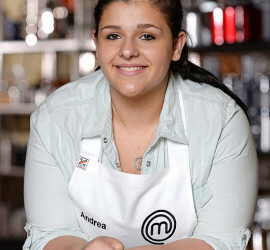 See more Masterchef Australia 2014 Contestants. 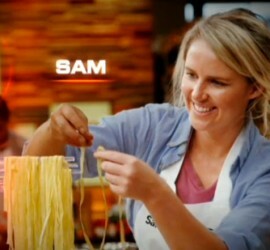 The Masterchef Australia 2014 contestant Amy Shields is a 37 year old Learning Systems Administrator from Western Australia. Her dream is to write a best-selling cookbook and teach cooking classes. See more Masterchef Australia 2014 Contestants. 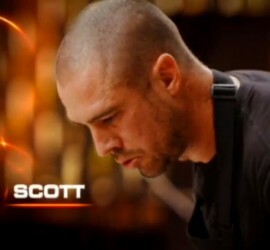 Scott Yeoman, Masterchef 2014 contestant, is a 32 year old from South Australia. He is a former carpenter, who unfortunately due to injury can’t continue in the profession. He turned to cooking and he wants to eventually work alongside Greenhouse chef Matt Stone. See more Masterchef Australia 2014 Contestants. 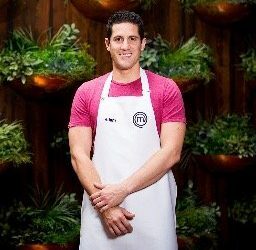 Sam Grant is a 26 year old Victorian and now Masterchef 2014 contestant. Sam is openly in a lesbian relationship with her wife Celeste. She works as a kidswear designer, but her dream is to open a provedore with her wife, stocking local produce and condiments. See more Masterchef Australia 2014 Contestants. Renae Smith is a 30 year old from New South Wales. The Masterchef 2014 Contestant is a single mum with two children. She is currently a brand developer but her dream is to open a healthy cooking school / café for kids in Sydney. See more Masterchef Australia 2014 Contestants.